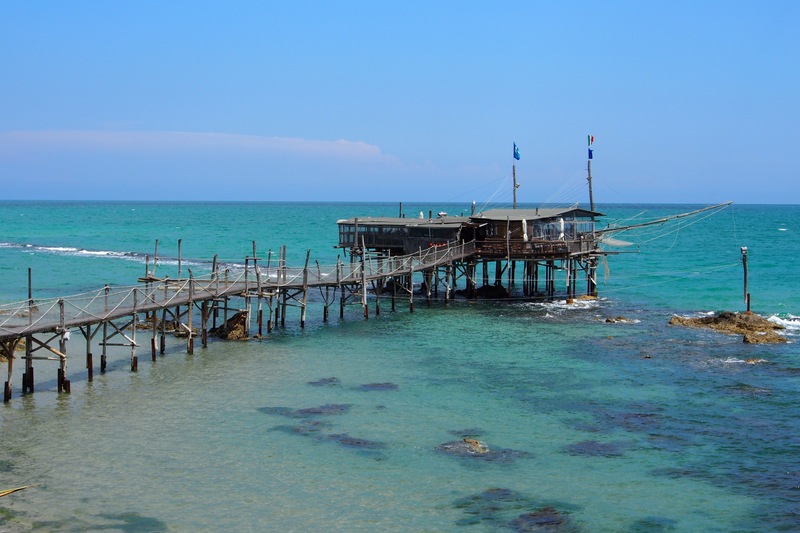 Those of you familiar with the central Adriatic coast of Italy, from southern Abruzzo to northern Puglia, might know about the unusual-looking trabocchi (the plural of trabocco). They are spidery-looking wooden fishing houses at the end of a long plank, off rocky areas of the coast. Nets are suspended from the long arms to hopefully catch some of the fish that live near the rocks. It’s easy to miss the turnoff for the trabocchi as many are privately owned and no longer used; and the tracks down to the beach are not well worn. 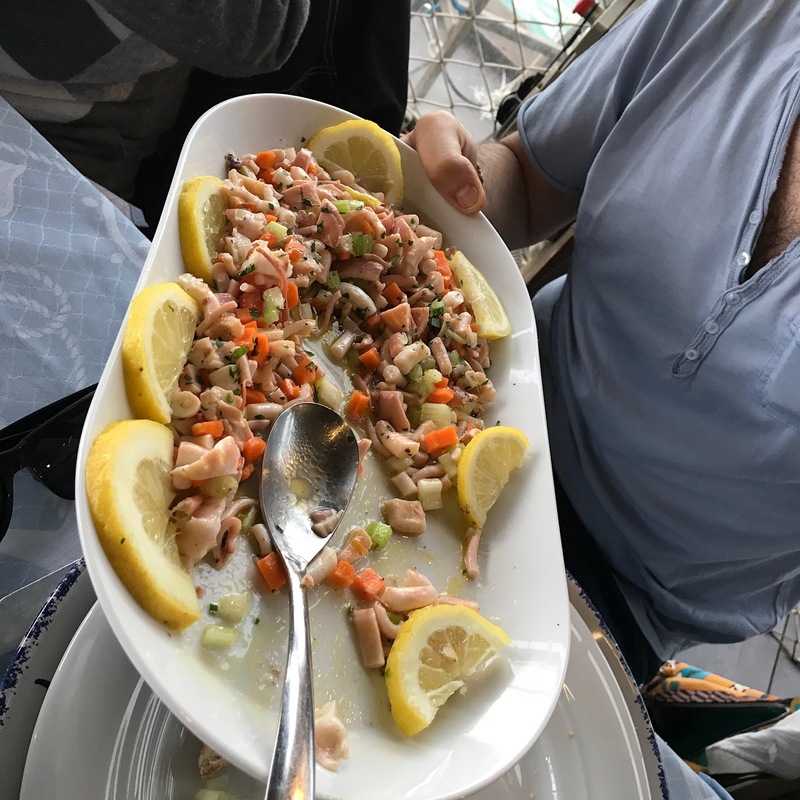 However, in recent years, families have begun to fix the trabocchi and build small kitchens to prepare meals for seafood lovers. 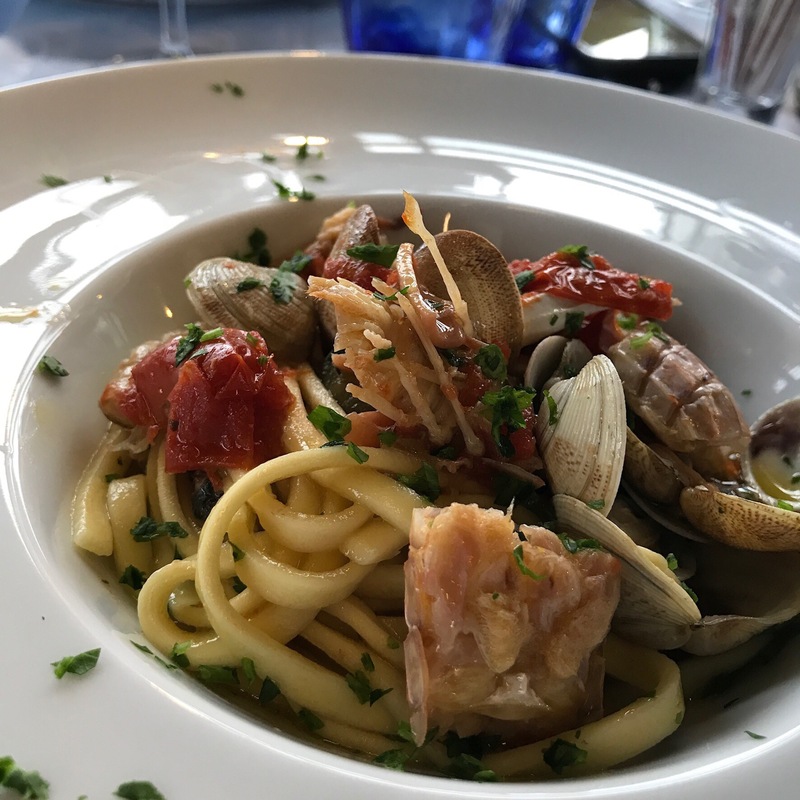 During the warmer months, the trabocchi are popular with couples or groups celebrating an occasion or just wanting a beautiful day eating fresh seafood in an interesting setting. Some background. 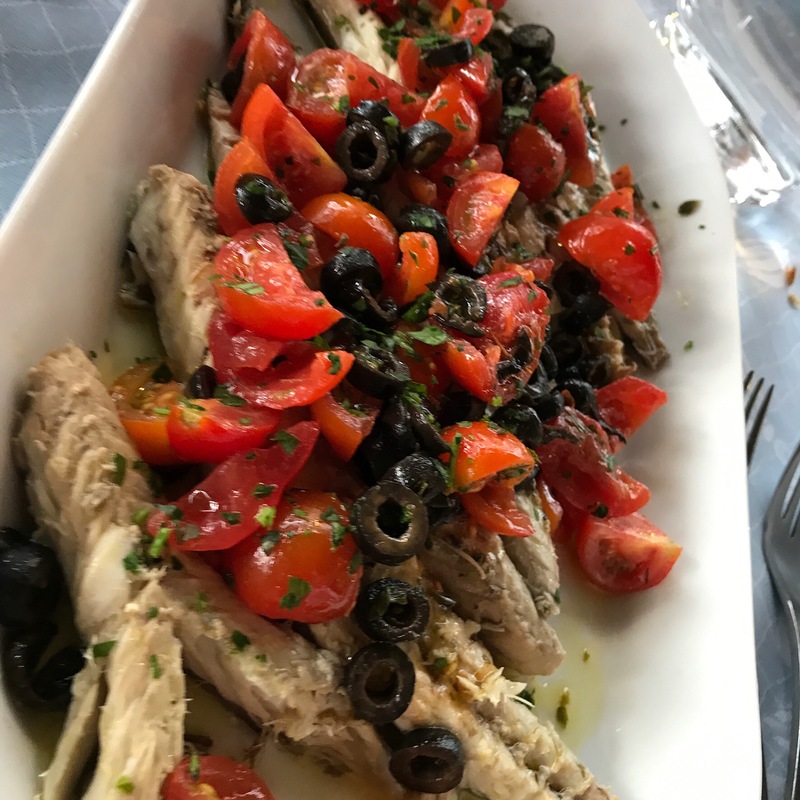 Last year I was travelling alone in Abruzzo and met a merry band of women on motorcycles called ‘Le Presentose’ after a traditional filagreed pendant, in short, a valuable bit of jewellery. I developed a friendship with some of the group and we have maintained contact through social media. 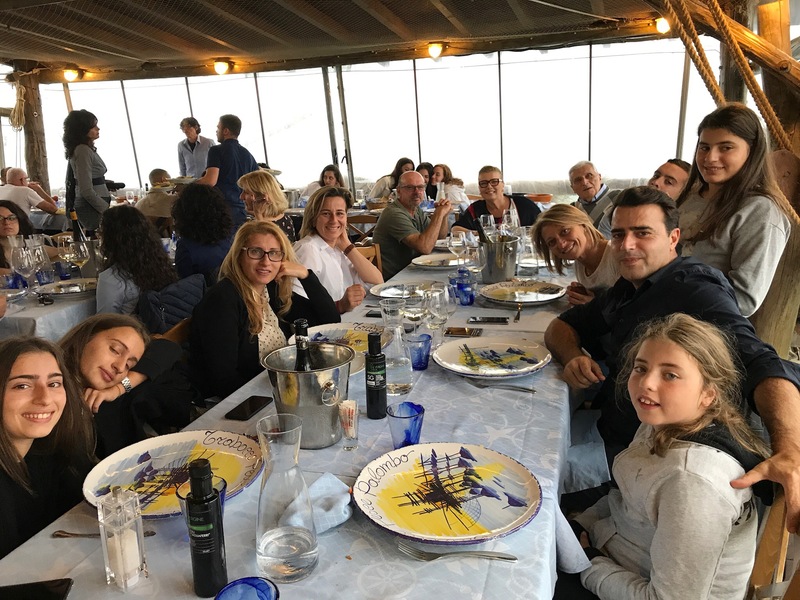 When they heard I was back in Abruzzo with my husband, some of the women organised a get together with friends and family on a trabocco. 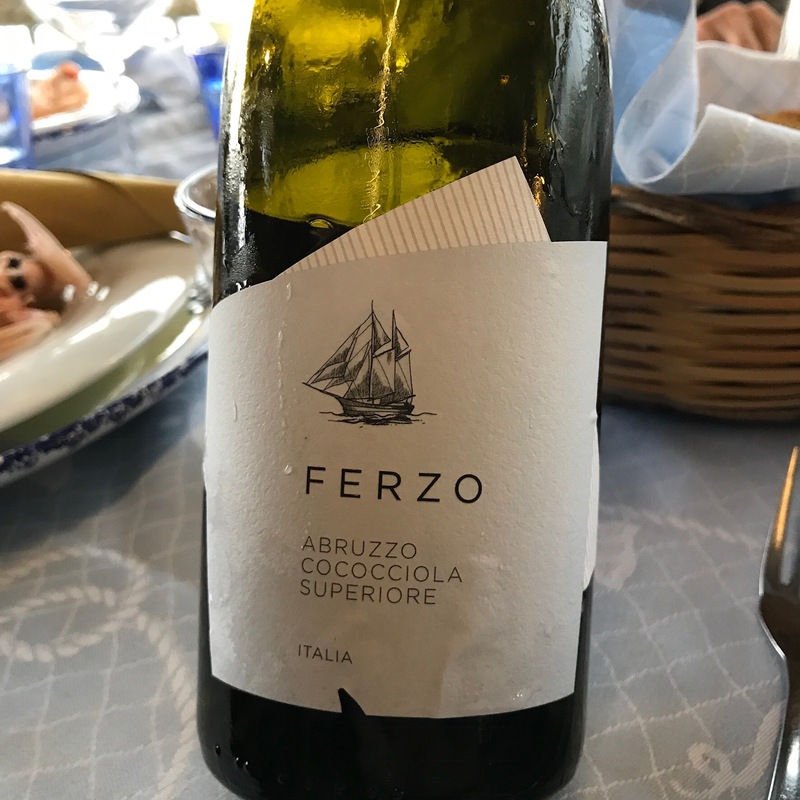 Another highlight of the day was to discover a new (to us) grape variety called Cococciolo. 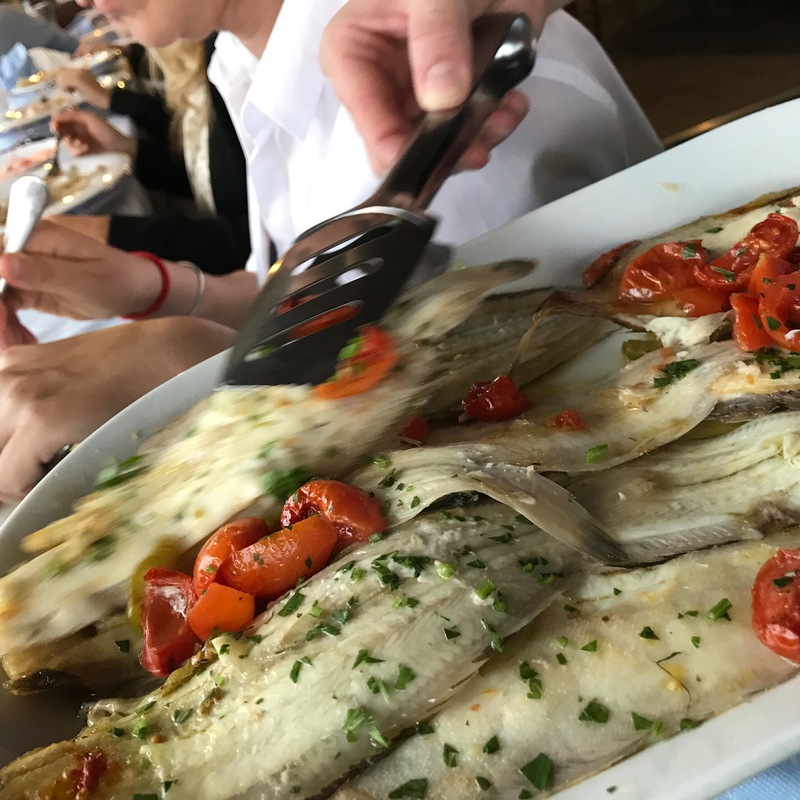 A white wine that’s fresh and crisp and a perfect accompaniment to a fish meal. 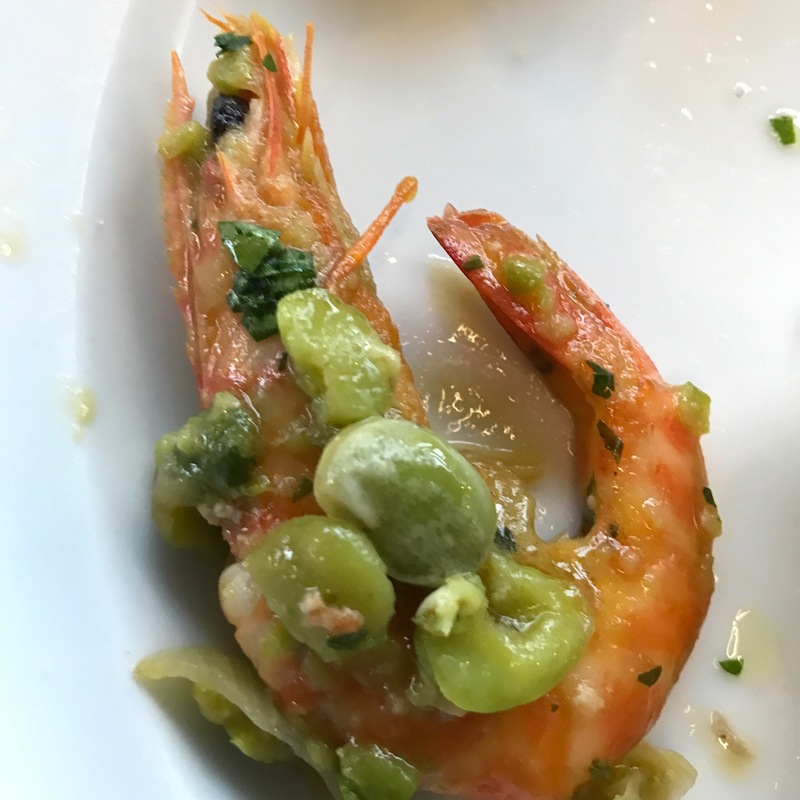 I didn’t photograph everything we ate and some things I was half through before I thought to take a snap! Here are some photos I managed and one or two of Roo’s photos as well. 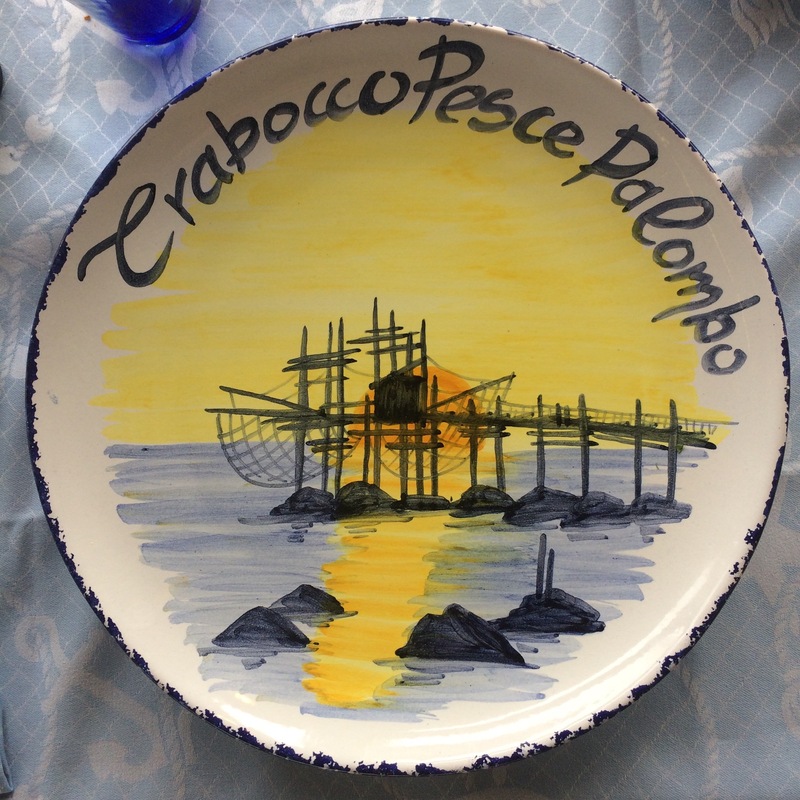 If you like fish and have the opportunity, visit a trabocco. Generally they are only open from about mid-April through early October, but best to check and reserve a spot! Lou, it looks like the wait was well worth it! I’ll expect a fully detailed list of the meal dish by dish. Griglia trillia anyone?